National Council for Cooperative Training, (NCCT) is committed to eliminating unnecessary travel by officers and reducing the burden of transport by various user organisations.Video conferencing facility is available in ICM, Kannur. Video conferencing is a cost effective and practical way of communicating with colleagues in other locations without meeting physically. 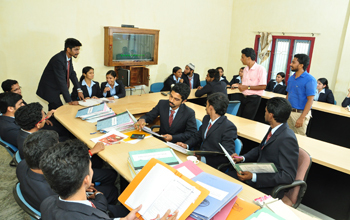 In order to expose the participants to modern techniques of learning.ICMK has set-up a state-of-art video conferencing facility in a Board Room with a seating capacity of 25 persons. This facility is used for interacting with officials of our Head office, other RICMs/ ICMs and to Import training programmes, important lectures, discussions, etc., or other institutions are frequently been delivered through video conferencing facility at our Institute.